HOW to PREPARE Mulled wine. Punch, grog and mulled wine have the same ancient roots. The principle which was used still by ancient Romans is put in a basis of preparation of all these hot alcoholic drinks: to add fragrant spices in wine and to warm. In due course there were some variations with an alcohol fortress, structure of spices and spices, and also small distinctions of preparation. So brothers were born: mulled wine, punch and grog. Perfect mulled wine – what is required for that and how to prepare mulled wine? It is plain: to prepare tasty mulled wine which will warm and will please you and your friends – it is necessary to take spices for mulled wine, for example – a cinnamon, a carnation, a grated nutmeg, to add the cut lemon, well and certainly – not to forget the most important thing – to steam of bottles or packages of cheap red wine. In this article I have collected for you recipes of preparation of mulled wine, enjoy! Generally, if you have gathered for the nature to weld mulled wine it is possible also at home – and then to take a thermos with yourself!!! Tired of office, of the Internet? In comparison with sulfur routine and city evenings each take off in mountains or simply on the open air, whatever weather stood, turns to a holiday, even if the nature – winter! However, sometimes the weather is so that it is necessary to stimulate sensation of a holiday with offering to everyone hot and strong drinks. The most simple receipt of preparing mulled wine – is to use sets of ready spices for mulled wine . Such variant at all seeming primitiveness is actual enough for those who simply doesn’t want spent overtime with recipes and technologies.Just come o a supermarket, take a bottle and a bag of spices, has warmed up at home – and it is possible to win heart of girlfriend or the company of fellows. 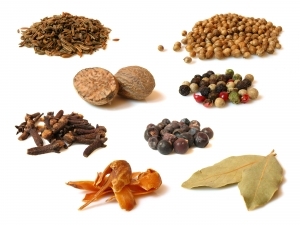 Nevertheless – the set of spices for the mulled wine, present at ready sets is quite comprehensible and pleasant. Mulled wine a suitable drink for patients in restoration after infectious diseases, a physical and mental exhaustion. The most important thing – mulled wine, as well as coffee shouldn’t be boiled . Inexperienced esthetes can spoil the first impression. The temperature should be around 70 degrees Celsius. It is better to heat up wine in fire-resistant ware, not- metal (except silver) until formed at first white foam disappears. Optimum choice of wine is red dry wine like Cabernet. Mulled wine is being drank while hot and is obligatory from high (that keeps warm) desirable transparent (to admire color of a drink) glasses inhaling hot radio steams. Wine which is a part of a drink, is necessary to use right after heating while it doesn’t loose the bouquet and flavoring qualities. If the mulled wine structure includes hot water, it needs to be boiled directly ahead of use. It is impossible to pour hot water directly on the top of spirits as it spoils their flavoring qualities. Instead it is necessary to pour in carefully water on edge.